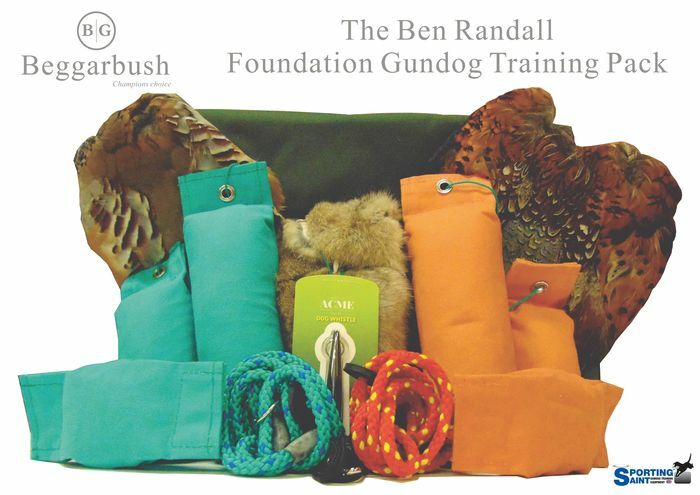 So you have just purchased your new pup or you are new to the gundog training world and are in need of gundog training equipment to start you and your pup/young dog off! You are thinking where do I start and what do I need?! Ben recommends the following pack to help start you off , including the BG foundation training programme Stage 1 top tip - this information is included as a printed sheet in your pack. 2 x Slip leads - bright colours! Ben is a Kennel club approved A panel judge he has judged the Spaniel championships in the UK and in Europe. Ben has been voted Gundog trainer of the year twice by his clients. He has also won the British Cocker championships back to back a feat that’s not been achieved in over 35 years. Ben has also made up champion Cockers and springers ben also trains his Labrador’s to the highest levels and had developed the BG Aga dog that he breeds and sells to clients worldwide. And has know become a dog trainer of some of the worlds famous celebrities!